The modern Western movement to embrace Eastern spiritual traditions usually stops with India and the Orient. Westerners have yet to discover the wisdom that dates back even further to ancient Egypt. With a Jungian perspective, clinical psychologist Dr. Thom F. Cavalli plumbs that wisdom through the myth of Osiris, the green-skinned Egyptian god of vegetation and the Underworld. As no one else has done, Cavalli draws on Osiris�s death and resurrection as a guide to spiritual transformation. The myth represents the joining of the conscious and the unconscious, the light and the dark, life and death, and shows how to live our temporal existence in service to and anticipation of eternal life. Cavalli sees the ancient art of alchemy � which attempted to turn lead into gold � as the key. The alchemical recipe "solve et coagula" (solution and coagulation) encoded in the myth describes the integration of all parts of a person and the method for achieving an experience of immortality in life and eternal life after death. 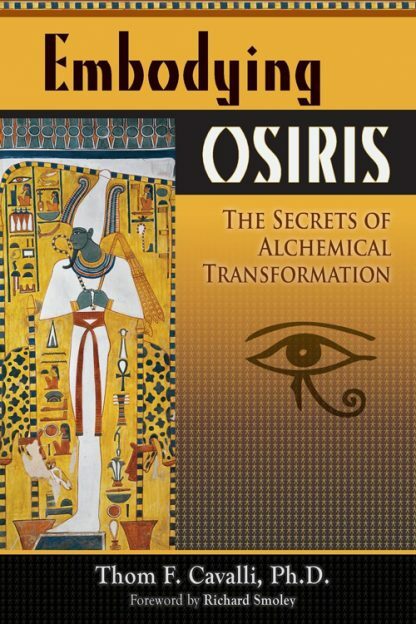 The Osiris myth thus provides a model for the contemporary quest for individuation, the Jungian term for integrating ego and self, body and soul, in the process of becoming whole. Dr. Thom Cavalli is a Jungian psychologist, artist, teacher and mystical alchemist. He authored Alchemical Psychology, Old Recipes for Living in a New World, and a number of journal articles on the trickster archetype and psychological alchemy. Thom has presented seminars and workshops at many prestigious institutions including Esalen Institute, the International Alchemy Conference, the Philosophical Research Society, the C.G. Jung Institute of Los Angeles, the Bowers Museum and the American Psychological Association.